In the very late 1980's a company announced plans to build a co-generation plant in the Burney basin on a plot of land west of the Sierra Pacific Industries sawmill. The company had to add a sawmill to the project to gain enough political support to get the necessary permits, and in 1990 the completed plant went on line. The sawmill operated as Burney Forest Products. 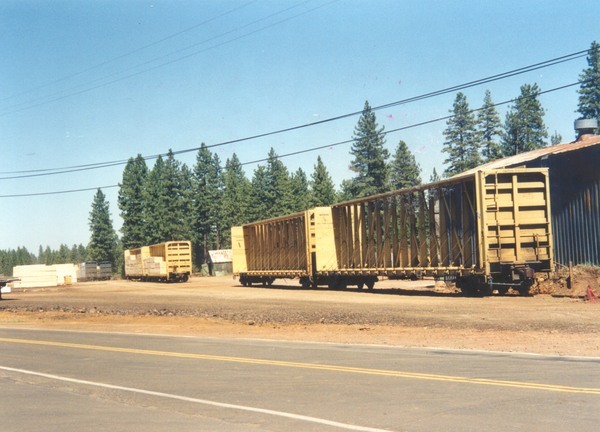 Burney Forest Products wanted to ship finished product out over the McCloud River Railroad. The two companies initially focused on building a branchline from the Sierra branch above the Sierra Pacific Industries sawmill to the new plant, but the railroad could not come to terms with the affected landowners and the condemnation process would cost far more than the railroad could afford. The two companies then looked at establishing a reload site in the old Burney yard facility, but discarded this idea due to "too many people involved". 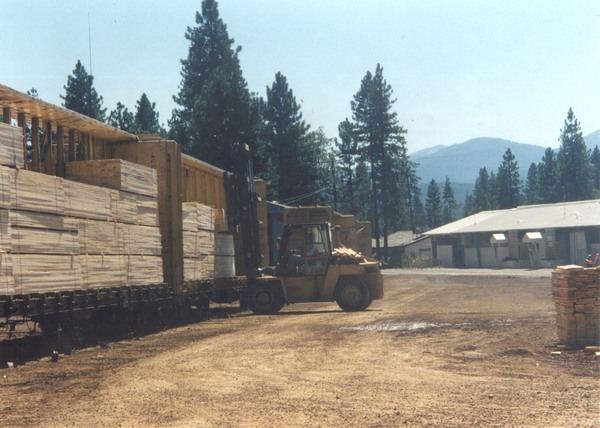 Burney Forest Products settled for trucking its lumber to markets or to other truck to rail reloads in the area. 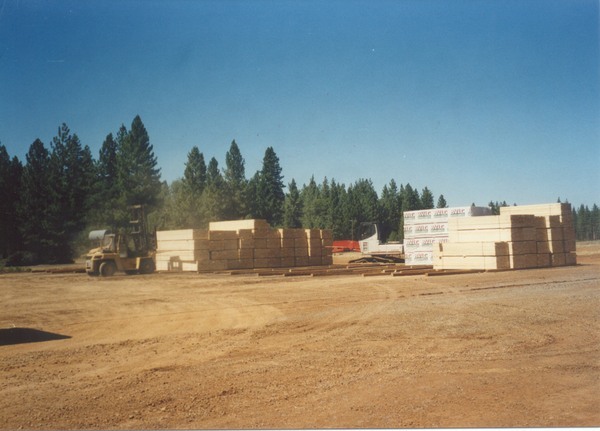 Burney Forest Products operated the new sawmill for only a few years before shutting it down. The sawmill did not remain closed for long, however, as Big Valley Lumber Company (BVLC) leased the facility and reopened it. 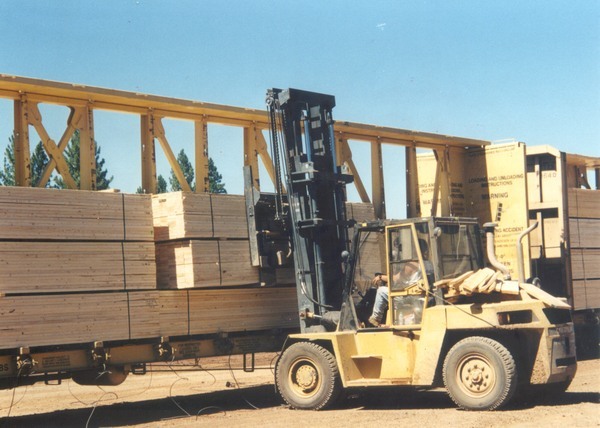 BVLC operated a sawmill and a co-generation plant in Bieber, CA, and this sawmill nearly doubled the size of the company. BVLC already had a reload established on the Burlington Northern in Nubieber, and the company trucked all lumber headed to market by rail to there. The situation changed in 1999. The small size of the company hindered BVLC's ability to compete for local timber sales, which put the entire company in jeapordy. However, the Grays Harbor region in Washington had a huge surplus in available timber, and some of the timberland companies started selling their saw logs off. BVLC took advantage of this source of timber and signed an agreement to purchase vast quantities of logs that would be shipped to the area by rail. BVLC intended to supply both of its sawmills with this timber, and the company soon realized it would need a reload in Burney to make the operation more efficient. The company soon made arrangements to use the former Burney yard site as a reload. BVLC initially projected that the company would receive up to 60 loads of logs and ship 30-40 outbound lumber loads each week through the Burney reload. However, the inbound movement of logs failed to materialize save for one movement of six cars. All of the inbound log traffic came to the Nubieber reload, with trucks handling delivery to the two mills from there. The reload did originate 15-20 outbound loads each week. The business lasted until the fall of 2001. The company sold electricity produced at its Bieber co-generation plant to California electricity giant Pacific Gas & Electric, and one of PG&E's first acts after entering bankruptcy protection was to cut off all payments to its power providers. This move caused BVLC's chief financial backer to lose faith in the company, which caused BVLC to immediately implode. A new company named Shasta Green re-opened the Burney sawmill after a few weeks, but the company could not come to terms in re-openeing the reload and settled for trucking all of its finished product out of the area. Efforts to save the Bieber mill failed, and in late 2001 and early 2002 the company auctioned all of the sawmill equipment off. Many of these pieces of equipment left the area in a few specialized rail shipments that were loaded at the reload. Lee Christopher dropped by the Burney reload to take some photos of the activities there in August 2000. Some of his photos are displayed below. A mix of empty and loaded centerbeams at the reload site. The small forklift that BVLC kept at the reload to unload trucks and load railcars. The forklift loading a TTZX centerbeam. One last shot of the BVLC forklift in action.